Tonight’s post all share a theme of the challenges of being a pollinator on prairie wildflowers. 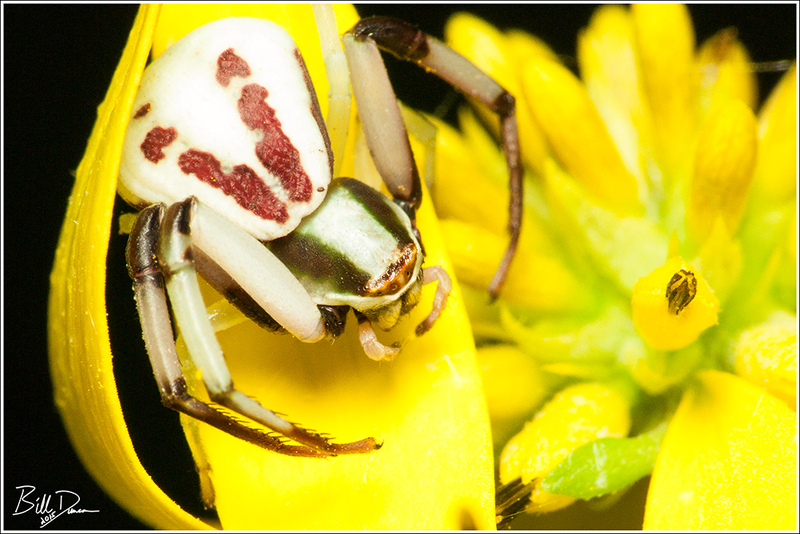 The first photo above shows a lovely-colored, ambush predator known as a Crab Spider. Crab Spiders do not spin webs, but lay in wait, often on a flower for a pollinator to visit. 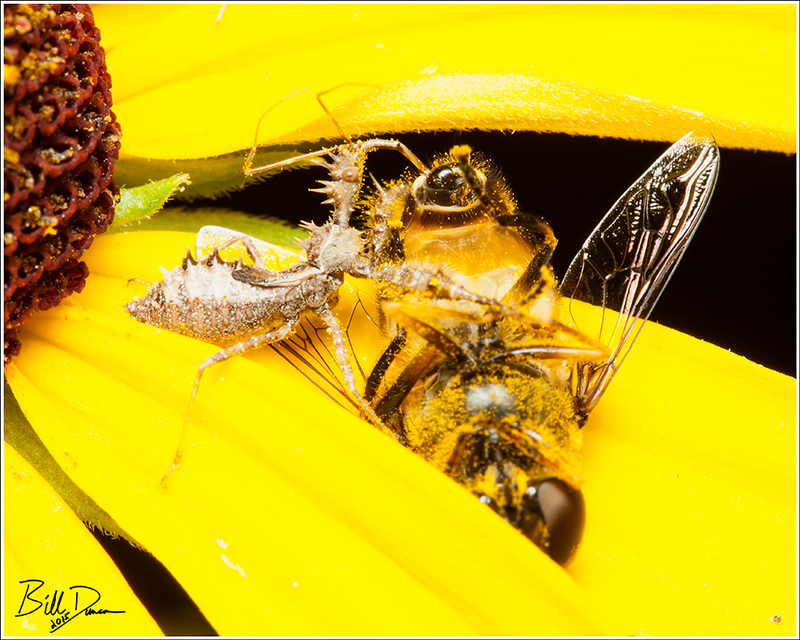 This Assassin Bug has captured a syrphid fly and is having himself a meal. 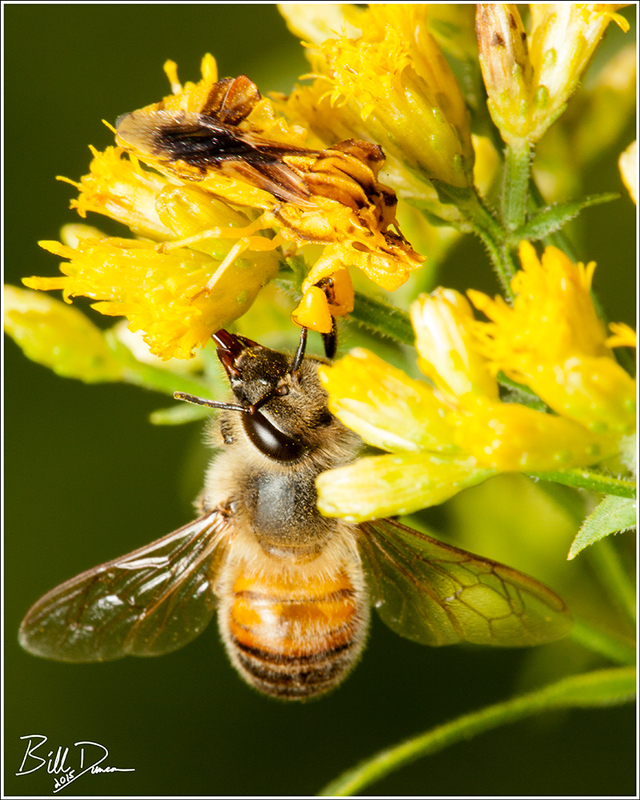 In the image above, this goldenrod flower came to life to ambush a Honeybee. I find that Honeybees are the most often caught in traps like this. Native bees seem to be constantly on the move and much more defensive, most likely due to the fact that they are solitary and there would be nobody to care for the brood if they were more care free like the honeybees. 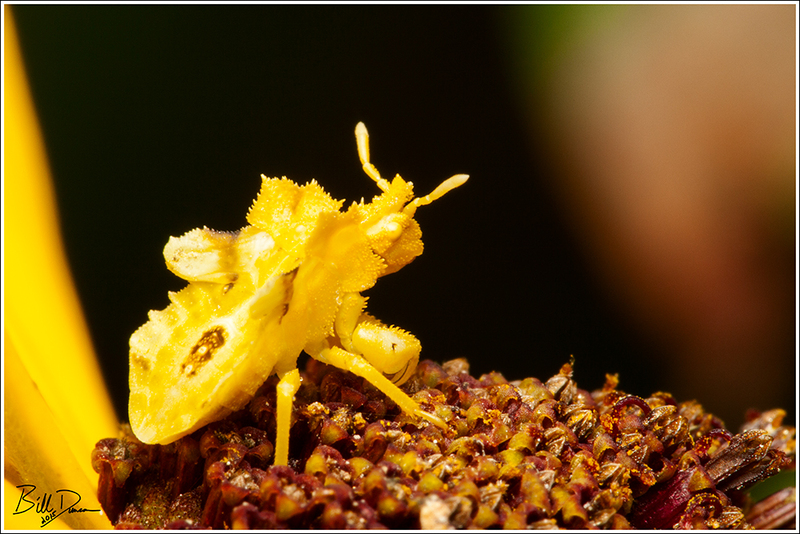 The creature is actually called an Ambush Bug. What an interesting face this one has! I can imagine the potential conversation. 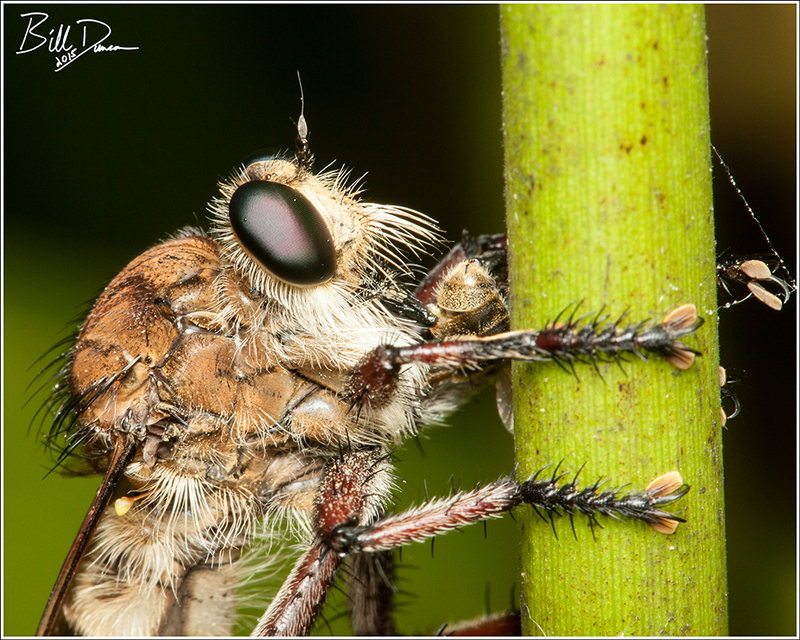 Finally, this gigantic Robberfly is finishing off some small prey. Excellent shots! Most people don’t realize that butterflies, bees, and other insects have so many predators.